-RC- Mini Keyboards - Play me! Sounds and Music! | Flickr - Photo Sharing! -RC- Mini Keyboards - Play me! Sounds and Music! Wow such a musical avatar you will be. Click the ♪ to start playing a random tune. 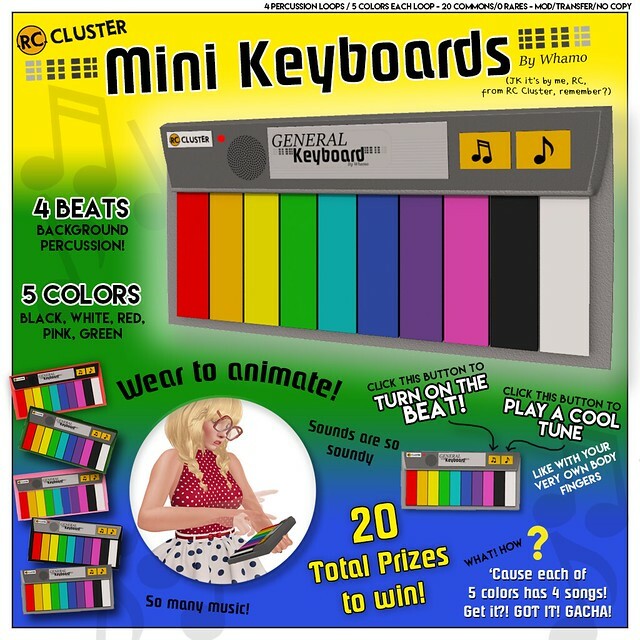 There are 5 colors to win, each having 4 Songs to win separately. So there are 20 prizes total to win! 7; PL$H; LEN$ || -Lee, Satuex Resident, and 29 other people added this photo to their favorites.